A KTeas Signature Blend - Serenity WaltzA graceful waltz in your teacup: China black partnered with Darjeeling black accompanied by gentle fruit notes partnered with subtle bergamot. Delicate, smooth green tea featuring a fruity finish. 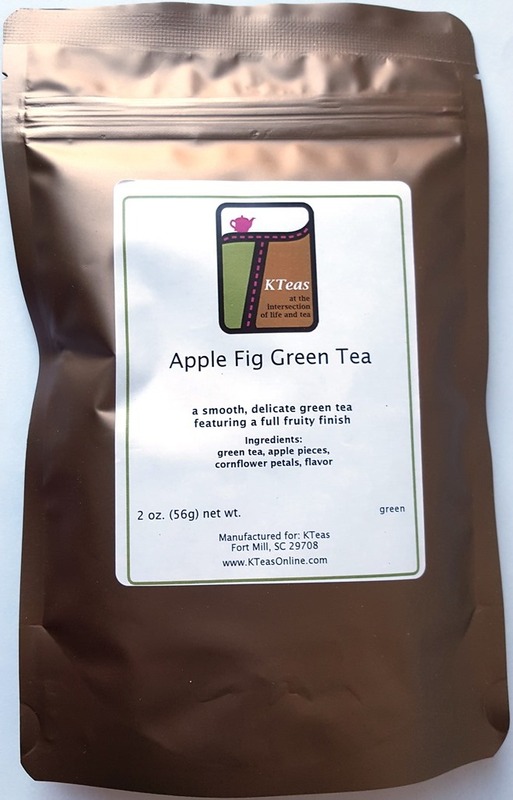 Ingredients: green tea, apple pieces, cornflower petals, flavor. Preparation Guidelines: 1 teaspoon (2.5 to 3 grams) tea leaves to 8 ounce not-quite boiling water (175°F). Steep 3 minutes or to taste. Remove/strain tea leaves from beverage. Add sweetener if desired. Milk not recommended for green tea---but feel free to explore on your tea journey. .. Logo designed by Future Deco Designs. All Rights Reserved.